This statistic presents the perception of individuals in the United States in regards to Facebook's future performance in their conduct of safeguarding the personal data of people with Facebook profiles. 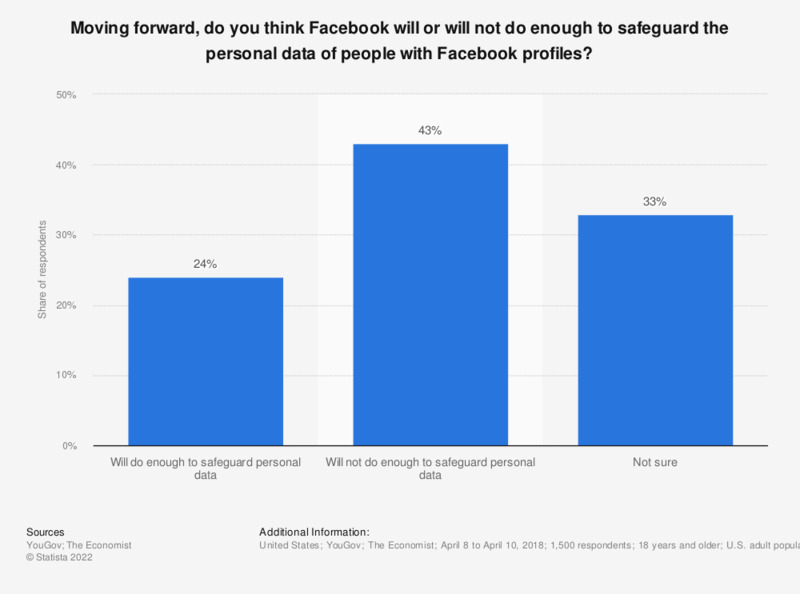 According to the April 2018 findings, 43 percent of respondents reported that Facebook will not do enough to safeguard the personal data of profiles on the social media platform. Question: "Moving forward, do you think Facebook will or will not do enough to safeguard the personal data of people with Facebook profiles?"